"When Words Fail: Mandalas, Archetypes & Healing"
When Words Fail: It is not uncommon for people to have difficulty expressing what causes them anxiety and trauma. 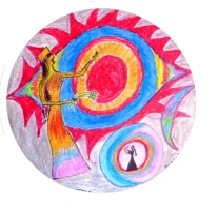 This is when mandala drawing and vocal improvisation can provide a pathway for the psyche to express these issues. Stage 4 Personal reflection on the mandala and journaling. These stages will be explained in the workshop, and you will then have the opportunity to try them out for yourself under Kirstin’s guidance. Mandala Power: Mandalas were introduced into Western psychology by Dr Carl Jung. He saw mandalas as a powerful tool to reach into the psyche when we find it difficult to express our feelings and emotions. This experiential workshop will take you through the pragmatics of combining mandala drawing, story telling, vocalisation and journaling for emotional and psychological healing. You can bring a personal issue to the workshop if you like and explore it privately throughout the day. Kirstin is also available for confidential consultation. So, enjoy the day and let the process proceed as it will. Cost: Jung Society Members $55, Concession $50, Public $60. On hearing the word Narcissus, does your mind summon an image of a graceful, beautiful youth who forsakes the world to regard his own lovely reflection in the mirrored surface of a pond where his preoccupation causes him to slowly waste away? The Narcissus myth is an ancient one. It contains the first prophecy of the famous blind Theban seer Tiresias. Tiresias offended Hera with his answer to a question she asked, and in anger she struck and blinded him. In compensation, her husband Zeus opens the inner eye of Tiresias and gives him the power to see the secrets of the future. Lirope, a nymph of the fountain, aware of the power of her infant to capture hearts, asks Tiresias if this boy with such perfect beauty will be able to survive. The story of Narcissus has survived many retellings. Tiresias has died and entered the underworld by the time that Homer writes, somewhere around 750 – 700 bce, of the visit of Odysseus to Tiresias in the underworld so we know it was being told before that time. What does the myth of Narcissus contain that keeps it alive, keeps the retelling happening? In this presentation we examined the myth and this question. Dr Rae Chittock is a graduate of the first cohort of ANZSJA's CGJ Institute’s Songlines and Haerenga model of analytic Training. She is interested in cultural history and its transmission in words and images as different forms of language. She is drawn to the way individual and collective meanings shape as well as liberate and explain each other. Rae has a private practice in Canberra. We received reports etc, and nominate Office Bearers for the coming year. The regular Friday monthly meeting followed at 8pm, as below. "Indian Dance, the Agama Traditions and Direct Experience as Knowledge"
Indian dance traditions have been framed theoretically by the text Natya Sastra (estimated between 1st century BCE and 3rd century CE) which sets out the purpose and the practice of dance as a pathway to moksha or accessing the Brahman or expanded consciousness spaces. In this talk, Padma Menon will draw on her experience of studying dance under a traditional teacher who was a tenth generation dancer in a lineage of priests ordained to perform dance as part of temple rituals. She will reflect on the ways in which dance practice was a contemplative tradition where knowledge through direct experience under structured experiential frameworks was valued. The text, like other texts on embodied practices like the Yoga Sashtra, is thus a signpost, and the practice was the space of insight and transformation. While Natya Sastra’s position as the fifth Veda and the breaking of dance lineages in modern times has tended to align dance with the more intellectual and philosophical Vedanta traditions, there is much in the practice that points to more symbolic, ritual and archetypal interpretations (the Agama approaches). Padma will include reflections on Carl Jung’s experiments as detailed in the Red Book, where he also delved into deliberate invoking of archetypes through personal practice. In times where intellectual knowing becomes the only recognised form of knowledge, Jung’s work and traditions such as Indian dance remind us there are experiences which could be embraced in richer ways through other means of ‘knowing’. Padma enjoyed a successful career in India performing professionally as a soloist since the age of nine. 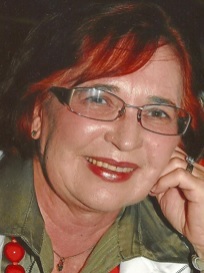 In her early twenties she founded one of Australia’s first professional multicultural dance companies and established a national and international reputation for cross-cultural work. She has worked in Europe in the renowned Korzo Production House as house choreographer and her work has been showcased in international festivals such as Cadance and the Holland Dance Festival. 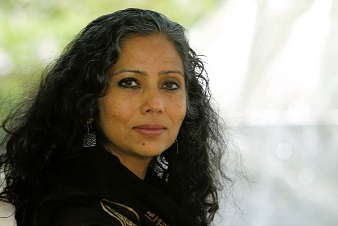 The centre she founded in India in 2006 was part of the arts activism movement in India, working closely with human rights and social justice organisations to raise awareness of issues such as women’s rights. Padma spent fifteen years studying and performing in three classical Indian dance theatre styles—Bharatha Natyam, Kuchipudi and Mohini Attam. Padma also holds post graduate qualifications in Choreography specialising in Laban Movement Analysis from the Netherlands. She has also studied contemporary western dance, yoga and the Indian martial art form of Kalaripayattu. "When Words Fail: Mandalas, Symbolism, Archetypes"
The evening lecture covered the various types of mandala (artistic, therapeutic and sacred). The focus was on the therapeutic mandala and its benefit for emotional and psychological healing. In his practice, Jung combined mandala drawing with regular journaling. He proposed doing a mandala daily and writing down afterwards the feelings that the mandala induced. We will look at examples of this as detailed in Jung’s famous Red Book. We also discussed these mandalas in the light of the archetypal significance and symbolism. Dr Kirstin Robertson-Gillam is passionate about empowering people to achieve their potential. She has a private practice specialising in communication disorders and issues of trauma, dementia, Parkinson’s Disease, general and EAP counselling. She developed her unique psychotherapeutic approach using imagery and visualisation, mindfulness meditation, visual arts, music making and singing from her own research. Her unique speciality is vocal improvisation psychotherapy. Kirstin completed a psychology major in her BA along with ethnomusicology and musicology majors at the University of New England. She then studied a Master of Counselling at Western Sydney University followed by research in a Masters degree which focused on reducing depression in severe dementia with choir therapy and reminiscence programs. Her PhD is focused on reducing depression in mid-later life with a community choir therapy program. She underpins her work with current psychological theories and research. Kirstin regularly runs workshops on her unique psychotherapeutic approach for health and psychological wellness, using combined vocal improvisation and mandala drawing for deeper communication, along with mindfulness, archetypal symbolism, myths, story-telling, imagery, visualization, spiritual, creative and cognitive techniques. Her online course will be available in mid-2019. This experiential workshop took us through the pragmatics of combining mandala drawing, vocalisation and journaling for emotional and psychological healing. We were provided with a workbook, A4 paper to draw mandalas and crayons. No artistic or singing skills were required.